Stepping into an Uber -- or driving one, for that matter -- can lead to all manner of weird and otherwise harrowing situations. 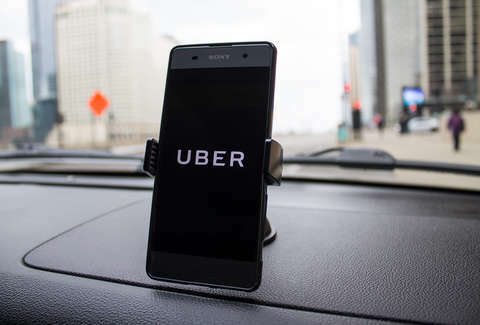 While recent reports of passengers being live streamed without consent might give the rideshare service an Orwellian air, a new form of alleged fleecing has emerged that reportedly appears to be gaining traction among drivers. Per a report in the Miami Herald, drivers have developed their own scheme to bilk passengers through "vomit fraud," an underhanded way of collecting a potential triple-digit cleaning fee from unwitting passengers. To commit "vomit fraud," all a driver has to do is request a cleaning fee -- between $80 and $150, per Uber's policy -- and submit a claim that a passenger spewed in the backseat. Once the claim is accepted by Uber, the fee is billed to the passenger, who presumably didn't make a mess. Sometimes, the fraudulent claim is backed up with photographic evidence, which is easy enough to doctor or find online. The Herald spoke with several victims of the scam, all of whom were confused to find large fees tacked onto otherwise uneventful Uber rides. Miami resident Andrea Pérez said she was subsequently billed $98 after a ride ended, and after she disputed the claim with her credit card company and got reimbursed, Uber deleted her account. Some of the stories reported by the Herald are downright comical in their portrayal of a shameless grift: A journalist for the paper was once charged a $150 cleanup fee for a cancelled ride, plus an extra $22 in extraneous fees. Mashable located Reddit threads in r/uberdrivers in which drivers openly discuss vomit fraud. One driver called it "the oldest trick in the book" that can be used as payback for unruly passengers who slam doors and do other unsavory things during a ride. Comment from discussion It’s called vomit fraud. And it could make your Uber trip really expensive. It's worth remembering that people puke in Ubers all the time and generally treat their drivers a step above mules. The only takeaway is for passengers to treat their drivers respectfully and to also tip, and for drivers to play by the rules.